Pulitzer Prize-winning poet Rae Armantrout is at once a most intimate and coolly calculating poet. If anyone could produce a hybrid of Charlie Chaplin's playful "Little Tramp" and Charlize Theron's fierce "Imperator Furiosa," it would be Armantrout. Her language is unexpected yet exact, playing off the collective sense that the shifting ground of daily reality may be a warning of imminent systemic collapse. While there are glimmers here of what remains of "the natural world," the poet confesses the human failings, personal and societal, that have led to its devastation. No one's senses are more acutely attuned than Armantrout's, which makes her an exceptional observer and reporter of our faults. She leaves us wondering if the American Dream may be a nightmare from which we can't awaken. 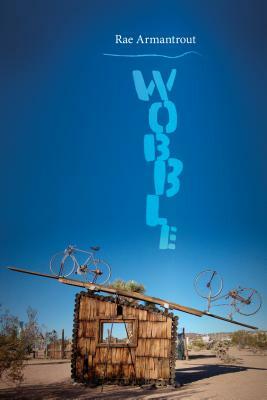 Sometimes funny, sometimes alarming, the poems in Wobble play peek-a-boo with doom. RAE ARMANTROUT is the Pulitzer Prize-winning author of fourteen books of poetry. She has published nine books with Wesleyan University Press, including Entanglements, Partly, and Versed.